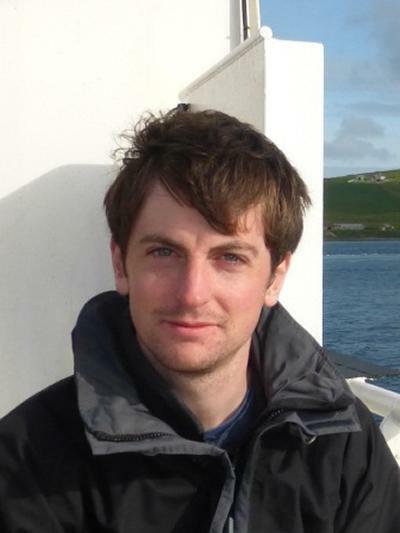 Dr Chris Standish is a Research Fellow in Archaeology at the University of Southampton. After graduating with a degree in Archaeology and Geology from the University of Bristol, and spending two years working as a field archaeologist, I returned to Bristol to study for my PhD in the School of Earth Sciences which investigated the source of Irish Chalcolithic and Bronze Age gold through Pb isotope and major element analysis. This was followed by one and a half years as a research assistant in the School of Geographical Sciences where I performed uranium-series dating for a range of research projects. I moved to the University of Southampton in early 2014. My research interests lie in the application of isotope geochemistry to the study of archaeological societies and the environments in which they lived. In particular I employ isotopic systems that can help date key events, investigate the procurement, exploitation and consumption of raw materials, and shed light on patterns of population mobility. I am also interested in the wider implications of my research in related disciplines and the continued development of related analytical techniques, including novel ion exchange chromatographic procedures and the application of laser ablation systems. I am currently working on the project Dating the origins and development of Palaeolithic cave painting in Europe by U-series disequilibrium. Here I am dating thin calcite layers that form overlying Palaeolithic cave paintings and engravings in order to constrain their age and help us understand the origins of rock art, one of the most important sources of information regarding symbolic behaviour and belief systems during the Palaeolithic. I also continue to work in other areas of archaeological science. In particular I am continuing my research into the source of early gold through isotopic and elemental analyses. The Chalcolithic and Early Bronze Age witnessed a marked growth in the deployment of exotic materials such as amber, jet and gold; materials often associated with supernatural, magical or cosmological forces and linked to increases in social stratification. Of these, gold is poorly characterised in terms of source, yet recognising patterns of its procurement is crucial if an understanding of the role this material played in prehistoric societies is to be achieved. Cave art is one of the most important sources of information regarding symbolic behaviour and belief systems during the Palaeolithic. This project will employ uranium-series disequilibrium dating of calcite over-growths to investigate its origin and evolution. di Maida, G., Pastoors, A., Zilhão, J., García-Diez, M., Hoffmann, D., Pike, A. W. G., ... Terberger, T. (2016). Grotta delle Incisioni dell’Addaura (Palermo, Prov. di Palermo), Grotta del Genovese, Levanzo (Favignana, Prov. di Trapani). Notiziario di Preistoria e Protostoria, 3(2), 77-79. Murphy, P. J., Hodgson, D., Richards, D. A., & Standish, C. D. (2013). Boreham Cave, Littondale, North Yorkshire, UK: some geomorphological observations. Cave and Karst Science, 40(3), 109-113. Cahill Wilson, J., Standish, C. D., & O'Brien, E. (2014). Investigating mobility and migration in the later Irish Iron Age. In Late Iron Age and 'Roman' Ireland (pp. 127-149). (Discovery Programme Reports; No. 8). Dublin, IE: Wordwell. Standish, C. D., Dhumie, B., Hawkesworth, C. J., & Pike, A. W. G. (2014). New insights into the source of Irish Chalcolithic and Early Bronze Age gold through lead isotope analysis? In Metals of Power - Early Gold and Silver (pp. 209-222). (Tanungen des Landesmuseum für Vorgeschichte Halle; No. 11/1). Landesmuseum für Vorgeschichte Halle.